Dibro - Dickinson Brothers, UK. Despite extensive research, I can find very little information on this company anywhere even on the internet which has a few references. Dickinson Brothers, sometimes called ‘Dibro’ or "Dibro Ltd" is the current company name for a business established by the Dickinson Brothers (DiBro). The three eldest brothers, Ewart Neville Dickinson, Harry Osmond Dickinson and David Richard Dickinson, started a printing business in Moorfields, Liverpool in 1933. The main activity at that time was the printing of general business stationery and more especially the ‘Swan’ brand of trading stamps which were sold to small grocers and retail shops in Liverpool and outlying districts. The business was one of the first printers in England to purchase an automated high speed Heidelberg printing press (in 1935). 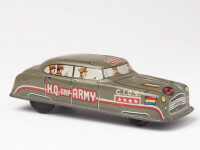 At the outbreak of World War II the brothers were seconded to various Armed Forces to assist with the war effort. Fortunately, Denis Austin Dickinson, the youngest brother, was able to look after the business for a short time before being called for duty himself. After a heavy bombing raid in 1941 when the Moorfields area was badly damaged, the business was moved to Cheapside, Liverpool. Not long after this move, there being no member of the family to run the business, it was leased to another notable Liverpool printing business, Samuel Hill & Reader, whose premises in Church Street, Liverpool had been completely destroyed during the May blitz of 1941. In 1945 the brothers, together with their younger brother John Alexander Dickinson, realised that, due to the post-war shortage of raw materials, a move away from printing and toward making a future in manufacturing was necessary. This move was helped by the fact Ewart Dickinson fortuitously was said to have "an inventive and engineering inclination". 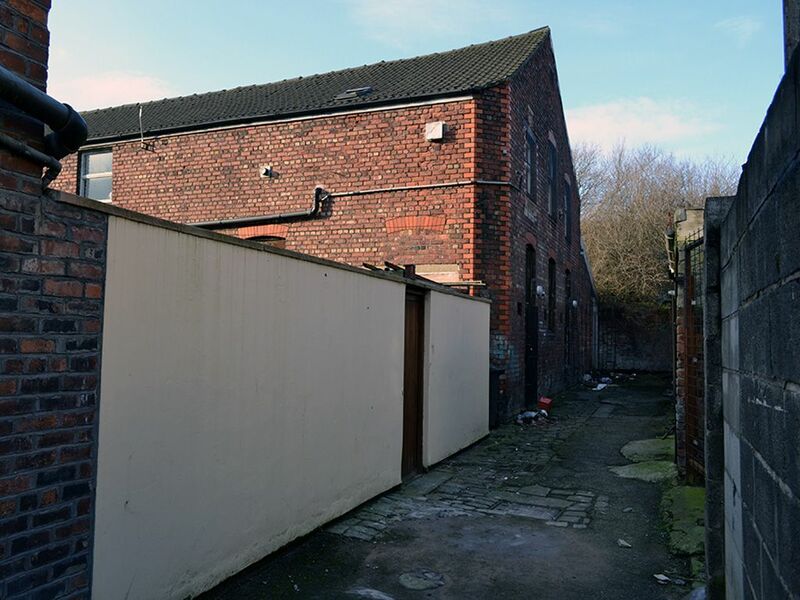 The printing business was sold to Elliot Bros & Yeoman Ltd and the proceeds used to purchase a factory at 8/10 Lily Road, Litherland, Liverpool from where they began making simple toys for F. W. Woolworth Ltd. The toys were made from metal and the process involved over 70 metal powerpresses, spray painting facilities, and a full engineering tool room. 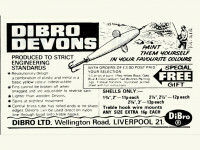 In 1953 the company became a limited company, under the name of Dibro Ltd., employing over 200 people in three factories. 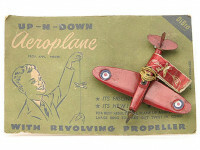 The company was quick to invest in plastic injection moulding equipment, at the instigation of Denis Dickinson, which started a move away from the traditional metal pressings and allowed a move towards the production of plastic toys, enabling the company to manufacture much safer toys but more importantly, to manufacture products for other companies and industries. 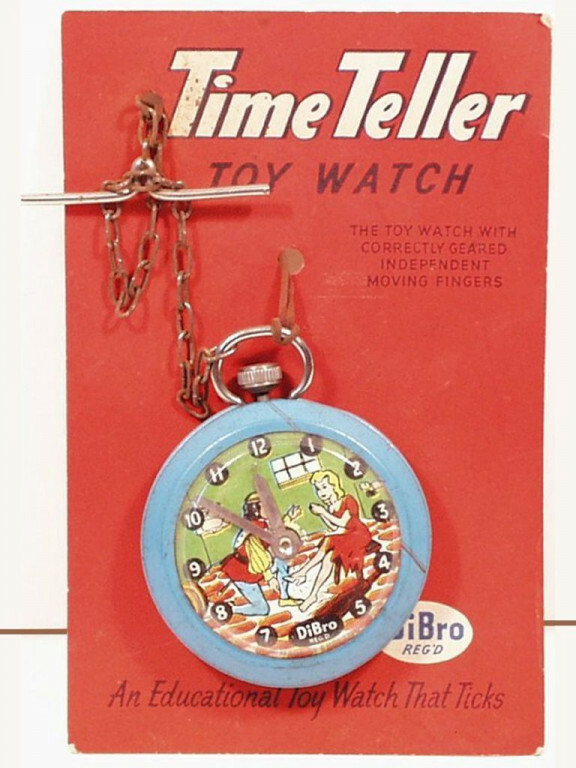 Dibro are known to have reproduced some similar items to those in the Dinky Toys range by Meccano, but in tinplate. Most commonly found is the Austin A40 which appears to be the same size as the Dinky and has a one piece tinplate body with silver painted or unpainted windows, black rubber tyres, a friction drive motor, a silver painted front grille; a one piece tinplate base plate with bumpers at the either end, and "jewelled" headlights. 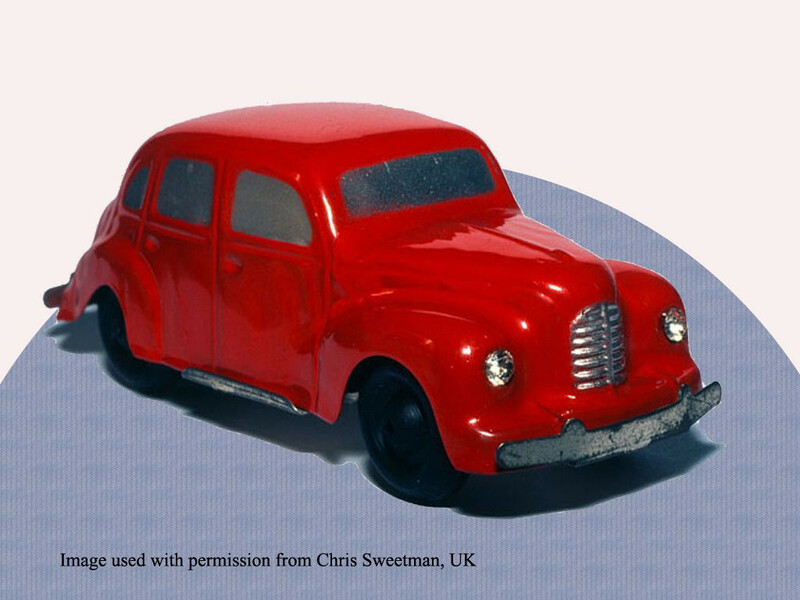 The Austin (and the Hudson Commodore that I also know to have been produced) come in various colours (red, blue, green, cream, maroon and grey are known to me). The models can be differentiated from other similar models of the period by the legend "DIBRO - MADE IN ENGLAND" pressed into the base plate. 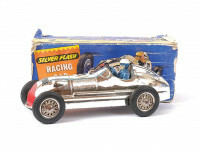 In 1959 Thomas Ewart Dickinson joined the company, having previously worked in the metal finishing industry, to set up a vacuum metallising facility to both finish the new plastic toys being manufactured and to provide a service to other plastic product manufacturers. 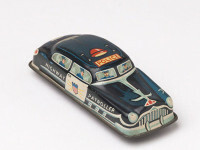 This lead to the processing of plastic parts for such companies as Meccano Ltd. (for their Dinky Toy range) in the 1960’s and, during the 1970’s, to the vacuum metallising of bottle jigger caps for Teacher's Whisky and cosmetic caps for Avon Cosmetics Ltd., Faberge Ltd., and many other brands. By this time the toy industry had changed from the production of simple metal or plastic items, clockwork and friction drive items, toy guns, etc., to more sophisticated toys which were labour intensive and costly to manufacture in the UK and which were now being imported to the UK, at a lower cost than the domestic product, from the Far East (mainly Hong Kong and other "Empire" countries). 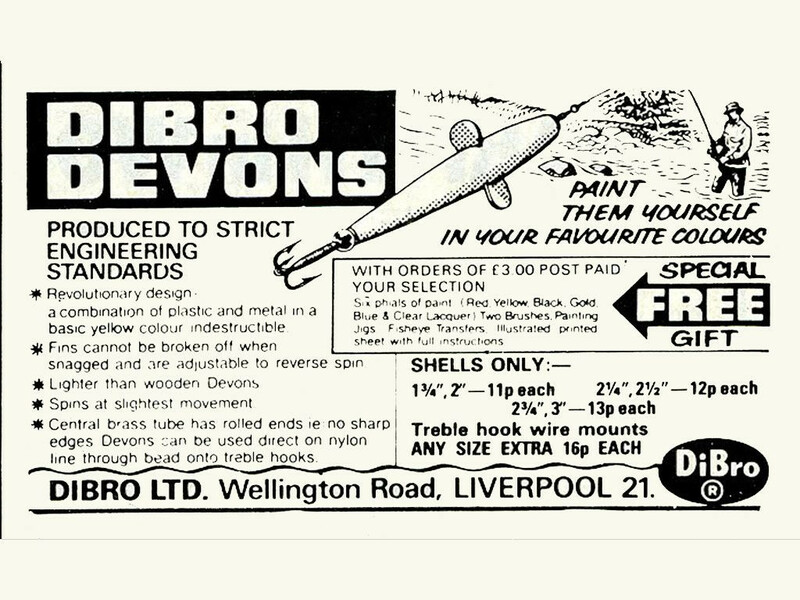 The metal press work and the toy related components of the business have now been completely phased out and today the main activity for Dibro Limited is the manufacture of vacuum coated products. 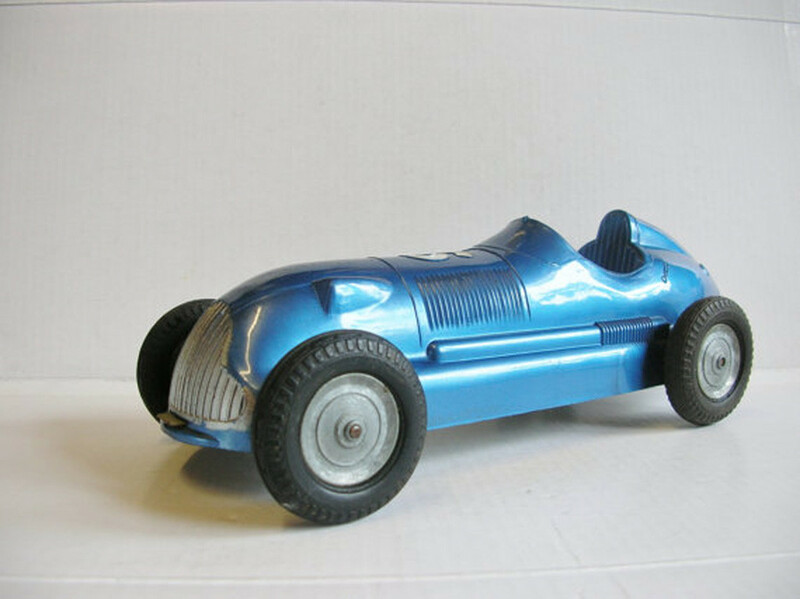 Dibro (UK) produced a plastic friction drive Racing Car, 22cm in length, with or possibly without driver and steering wheel, grille, racing numbers, wire or solid wheel hubs, and a tinplate base. The following photos were provided via email for use on the site. My thanks go to Ewan Cameron for the photo of the the blue Dibro Racer, copyright of which remains with Ewan. The chromed Racer photo was sent unattributed. Should you have any further information on the company or its range, I would be pleased to hear from you via the comment link on this page.